Extended Family Room – If you already have a contemporary look going for your family room, why not extend the same look to your patio? You can choose the same color palette and reuse certain elements like trim to make it look like it has always been part of the architecture. 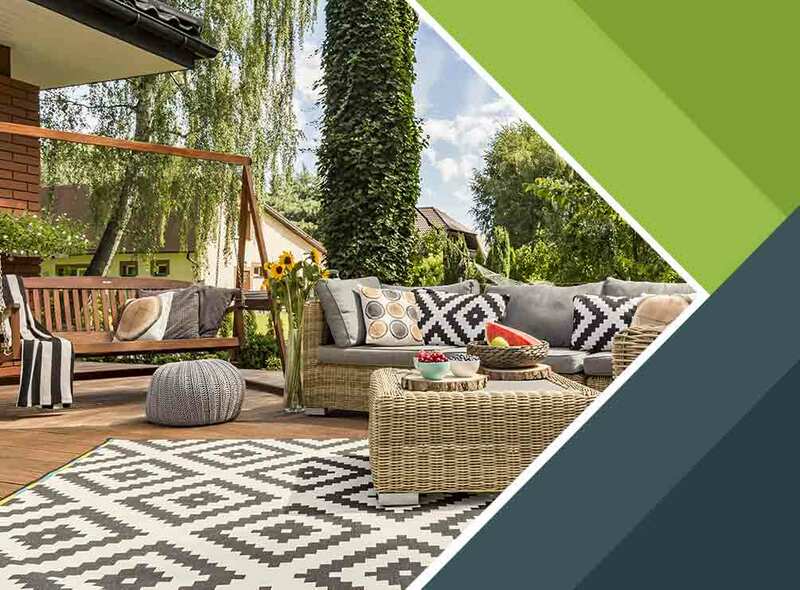 Urban Look – If your home features a permanent brick exterior, consider an urban look for your patio, consisting of a variety of textures that contrast modern patio furnishings. This is a great look if your patio space is more like a courtyard, surrounded by tall structures on all sides. Elements such as stone tiles, wall-mounted plants for color and a lemonade stand-style mini bar round out the urban vibe. Tiered Deck – If your patio area happens to be on a sloped area such as a hillside, you’ve got the perfect spot for a tiered deck. For example, if you are looking into adding a backyard pool, you can designate an elevated “dry” area for lounging and sunbathing several feet away from the pool. A tiered deck lets you enjoy all these features and still have a nice view from the hilltop. Such projects will be large, but a capable remodeling contractor can guarantee that the end results will be worth it. Permanent Seats and Tables – Permanent benches are great if your patio happens to be against the wind and can also work as a functional replacement for ground-level railing. You can change the decor and cushions around depending on your preferred color palette or even have them arranged around an area like a fire pit. Have a patio design in mind? The Deck Store is the deck company that can help you make it a reality. Call us today at (701) 223-1008. You can also fill out our contact form to schedule a free estimate. We serve Mandan, ND, and nearby areas.